With more and more attention being paid to the terrifying issue of climate change, we’ve seen more and more automakers experimenting with their own version of the electric vehicle as an attempt to stay in tune with the needs of our planet. Now, Jaguar is considering being one of the first brands intending to entirely swap out their internal combustion engined cars for EVs. They’re already producing the I-Pace for 2019, but Jaguar is also planning on introducing a whole host of luxury models powered by an electric powertrain within the next two years. Specifically, they’re looking to turn the XJ into an electric model for the first time since its introduction as a model in 1968. This is intended to directly compete with the Porsche Taycan and basically everything ever made by Tesla. 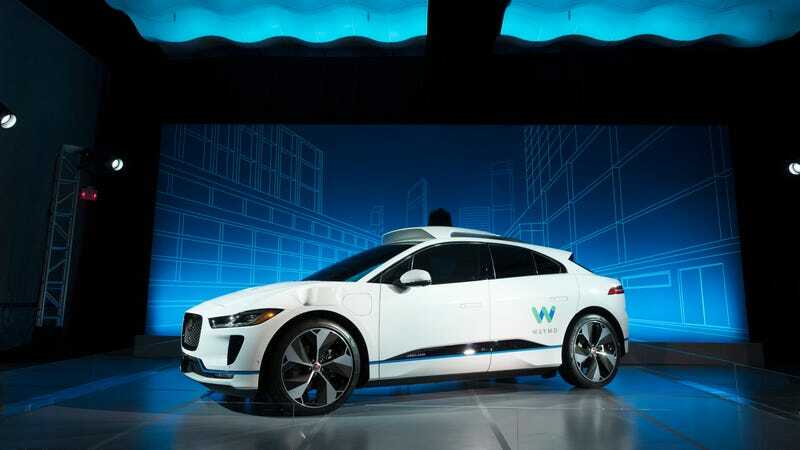 That’s just going to be the first step in the process, and Jaguar wants to be one of the first brands to capitalize on what they believe to be a relatively untouched market of electric luxury vehicles. They’re also thinking about how great it would be if Lyft and Uber drivers started using their car—an electric option would be great to quiet all those people pointing out how bad ridesharing has been for the environment. It could be a good time to make the switch. In 2023, the XE and XF models will be wrapping up—why not introduce them as an electric crossover to battle with Audi’s e-Tron? Two years later, the new I-Pace will be ready for introduction. The only car left as an internal combustion production would be the J-Pace. It’s pretty smart thinking, if you ask me. Jaguar doesn’t have a million models in current production, and it just kind of makes sense to slowly morph their current products into something more sustainable once their current runs are finished. They just have to add a few different touches to the products they already offer, and boom: the same Jaguars you know and love, now with the added bonus of not killing the planet! Autocar reports that the plans for the IC phase-out are in “advanced stages” but still haven’t been given the official go-ahead. But I wouldn’t be shocked if we start hearing some more definitive projects being announced in the near future.